Sky Go, formerly known as Sky Player or Sky Anytime, is a digital television service run by the broadcaster Sky. It offers live and on-demand video content, including sports, news, movies and TV, and can be accessed using a Wi-Fi connection on a variety of devices, including PC, Mac, iOS and Android mobile devices, and consoles, including Xbox 360, Xbox One and PlayStation 3 and 4. In this guide, we’ll explain a little about how the service works and how VPN or Smart DNS can enhance your Sky Go experience, as well as recommending six of our favourite VPN/Smart DNS providers for use with it. How does Sky Go work? The service is available for UK subscribers for no additional cost providing they already have a Sky TV cable subscription. For non-TV users, subscription is pay-per-view with the option of what is called a ‘monthly ticket’, whereby you pay for a single month’s access at a time without entering into a binding contract. Note that the standard service is available on two devices while Sky Go Extra allows four devices for an additional monthly fee of £5. 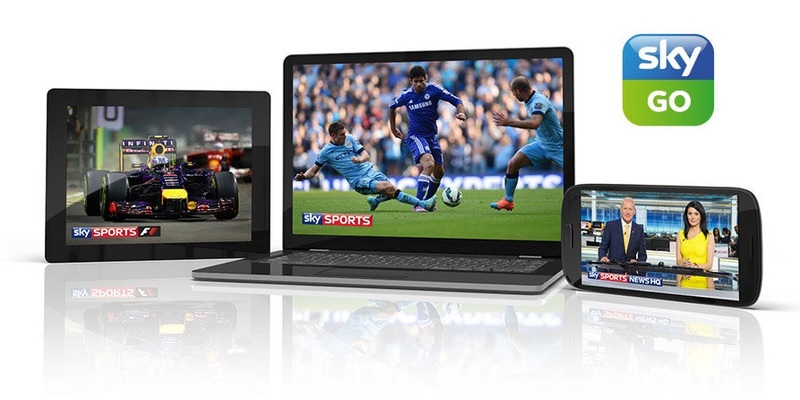 Sky Go Extra also allows you to download content to watch later offline. For desktop users, bear in mind that you must have the Microsoft Silverlight 3.0 plugin enabled in your browser before viewing. Sky Go boasts almost 70 channels in the categories of entertainment, kids, documentaries, news, international, film and sport, including the following: MTV, Fox, E4, Dave, itv, Channel 4, Cartoon Network, Nickelodeon, Animal Planet, National Geographic, Sky News, Sky Movies and Sky Sports. The service has received criticism for not being compatible with Apple TV or with Apple’s AirPlay suite, which allows inter-device wireless streaming. In its defence, Sky Go has said that these restrictions are in place due to its licensing agreement. Sky Go is designed only for use within the United Kingdom, due also to the binding nature of its licensing agreement. As such, if you have a subscription to Sky Go but you’re living abroad as an expat, or if your studying in a different country, or even if you’re on holiday abroad, your access to Sky Go will be blocked, unless of course you use a VPN service or Smart DNS. They work by substituting your real IP address with one linked to a secure, private server in the UK. VPNs also encrypt all of your data, ensuring your online anonymity, while Smart DNS proxies are specifically designed to override geographical restrictions (without encryption). Below we’ve reviewed six of the best VPN/Smart DNS providers for use with Sky Go. Whether you’d just like to unblock geographic restrictions or encrypt all of your internet traffic at the same time – each recommended provider offers both, either separately or as a bundle subscription. Overplay is primarily a Smart DNS provider but also runs a fairly solid VPN service. VPN users have access to the following protocols: L2TP/IPSec, PPTP, OpenVPN and SSTP. One particularly useful feature of the Smart DNS service is JetSwitch, a multi-channel toggle option, which gives users access to geo-restricted content from different regions simultaneously. Sky Go is accessible via desktop browsers and iOS devices. In terms of logs, Overplay does not record user activity but basic connection data is logged. Hong Kong-based PureVPN runs a VPN service with Smart DNS available as an add-on. The VPN boasts up to AES 256-CBC encryption with the OpenVPN protocol as the standard. The following protocols are also supported: IKEv2, L2TP/IPSec, SSTP and PPTP. Since the provider is based in Hong Kong, rather than mainland China, it enjoys a lax approach to data retention. Accordingly, its logging policy does not include user traffic though basic connection logs are kept for one month. VPN.AC is operated by IT privacy experts Netsec Interactive Solutions. Its headquarters are based in Romania, where data retention is not mandatory. Its VPN supports L2TP/IPsec, OpenVPN and PPTP. Traffic logs are not kept though basic connection logs are for 24 hours. One interesting VPN.AC feature is its TLS-encrypted browser proxy, SecureProxy. The extension is Chrome and Firefox-compatible and enables users to toggle swiftly between servers in different geographical regions, including across Europe, North America and Asia. The proxy offers multiple UK servers, allowing for instant Sky Go access from any location. Romania-based ibVPN runs both Smart DNS and VPN services. VPN servers support up to 256-bit encryption with the following protocols: OpenVPN, PPTP, L2TP and SSTP. Traffic logs are not kept but basic connections logs are stored, which are deleted after seven days. Its Smart DNS (also known as ibDNS) offers virtual access to a wide range of international regions, including the UK. HideIPVPN operates under U.S jurisdiction and offers VPN and/or Smart DNS. Available encryption protocols include OpenVPN, SSTP, L2TP/IPSec, PPTP and SoftEther. Traffic and connection logs are not recorded. Among the wide selection of channels and networks available through its Smart DNS is Sky Go and numerous other UK-only services. HideIpVPN likewise offers access to several UK VPN nodes. CactusVPN is a VPN and Smart DNS provider based in Moldova, where data retention is not mandatory. It offers up to 256-bit encryption and connectivity via L2TP/IPSec, OpenVPN, SSTP, PPTP and SoftEther protocols.  Traffic logs are not kept while basic connection logs are stored for just three days. At the time of writing, its Smart DNS service offers access to over 200 websites and streaming services including Sky Go and many other networks available only to UK residents.